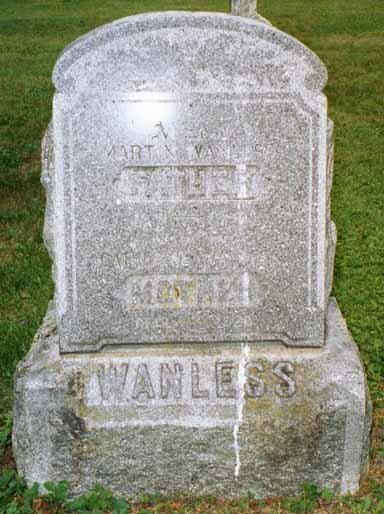 so there could be errors in misreading or mistranscribing the stones. 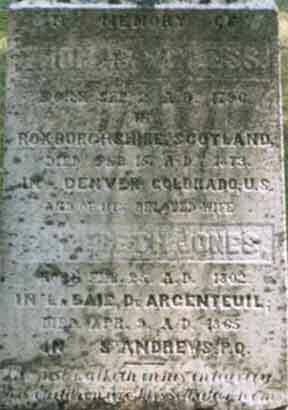 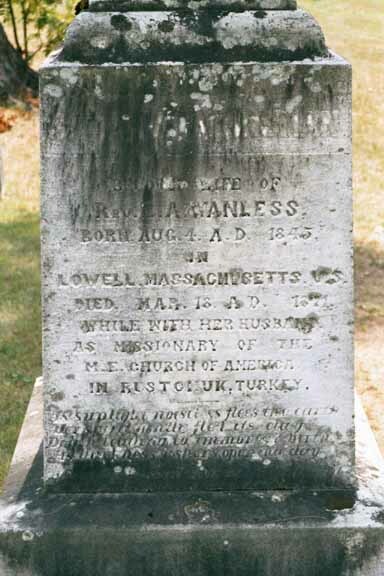 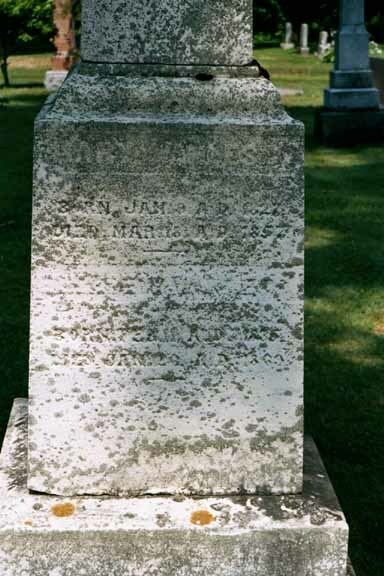 who died Oct 11, 1893 aged 44 yrs & 4 ms.
Data was collected by Michael Kinsey on August 5, 2002. 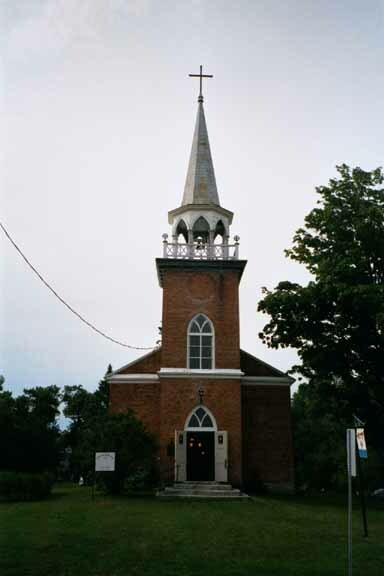 The cemetery is located on the east side of highway 344 halfway between St. Andrews East and Carillon in Quebec. 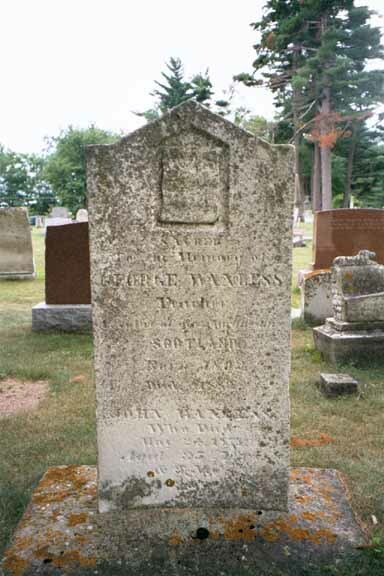 For information about the cemetery contact Mr. R. Webster, 4 Prince Edward, St Andrews, Quebec. 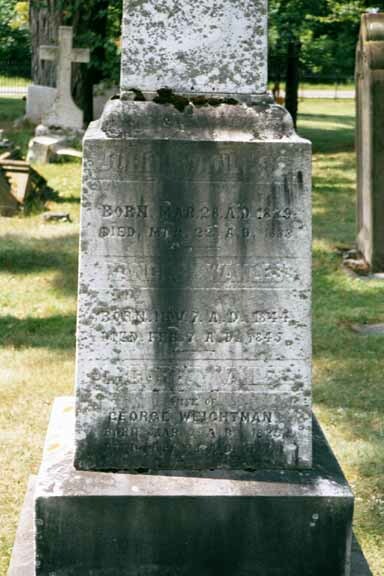 And also Edward Mynott who departed this life July 22, 1885 in his 76th year.